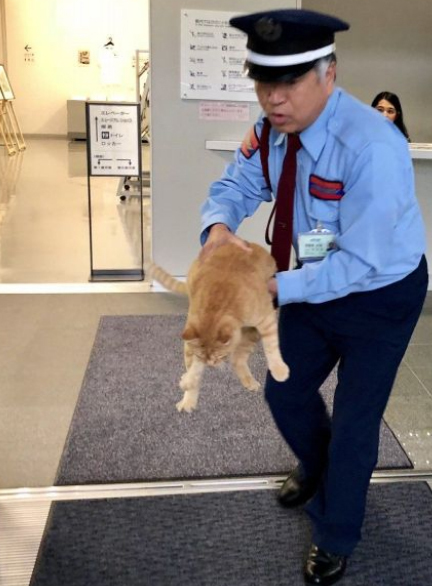 In spite of seeming to be art-loving fans, a pair of cats has, once again, been refused entry to a museum. 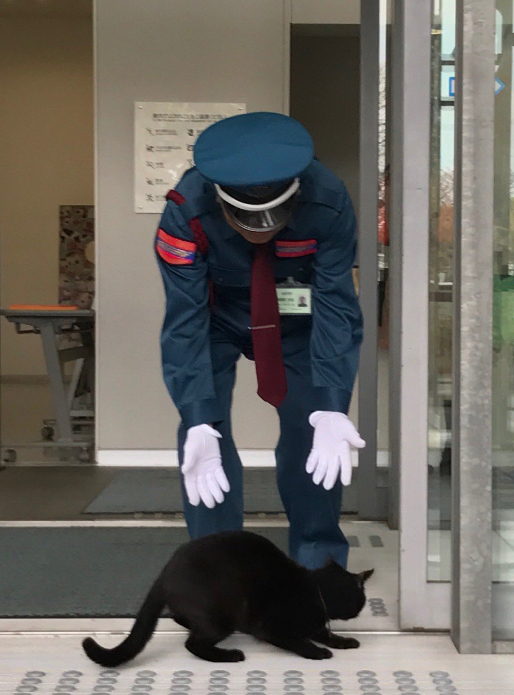 For years the persistent duo has been trying to obtain entry into the Onomichi City Art Museum. 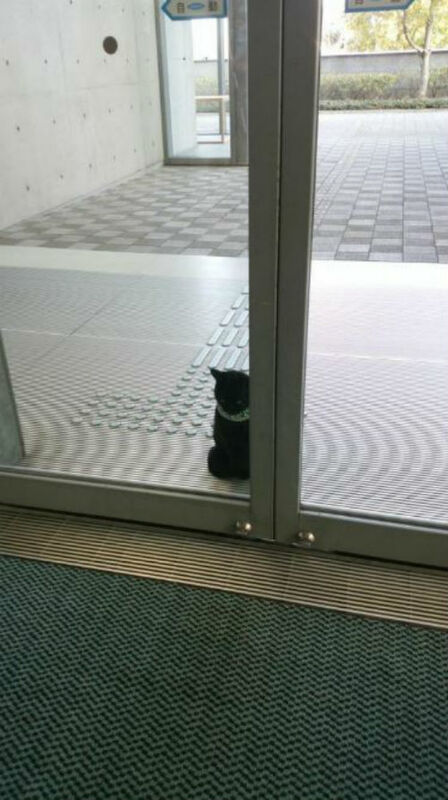 Apparently, they have been attempting to get in since a photography exhibition featuring cats in 2016. Whether the timing was pure coincidence or the cats were interested in what was in the gallery could only be speculated upon. That was in 2016. They have been trying ever since. 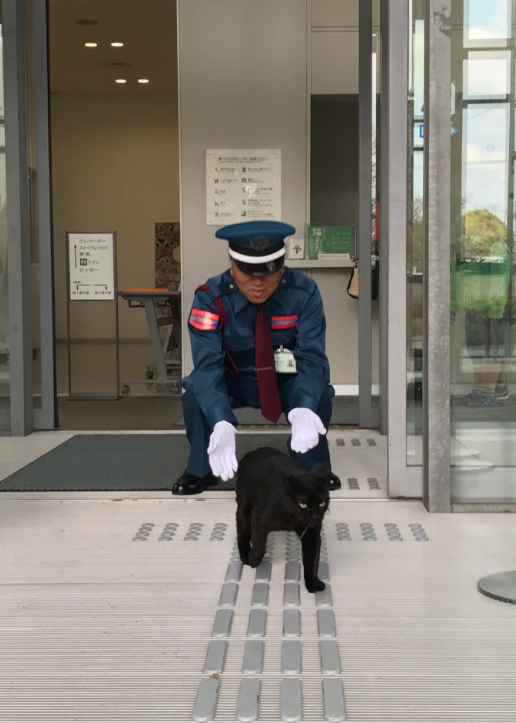 As cute as they are, there is a strict no animal policy at the museum. Sadly, the two cats fall under that restriction. It doesn’t mean, however, they don’t give it the good old college try. And it is that “try-and-try-again” attitude that has given rise to their popularity. So much so they have been given monikers. 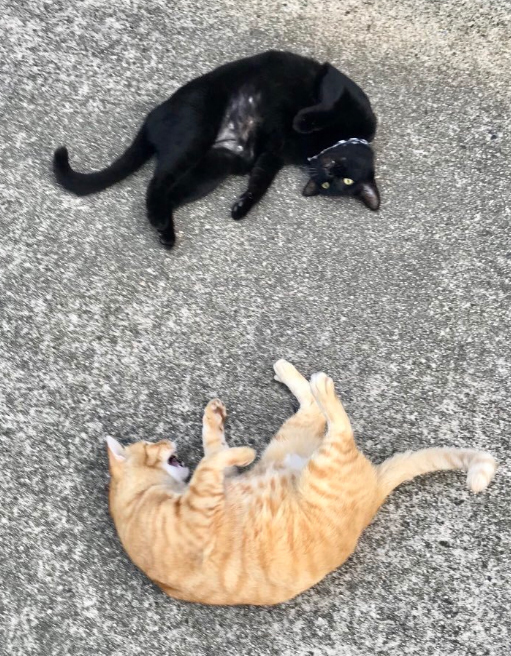 The black cat is called Ken or Ken Chan and his co-conspirator, a ginger cat, has been dubbed Gosaku or Go-Chan . 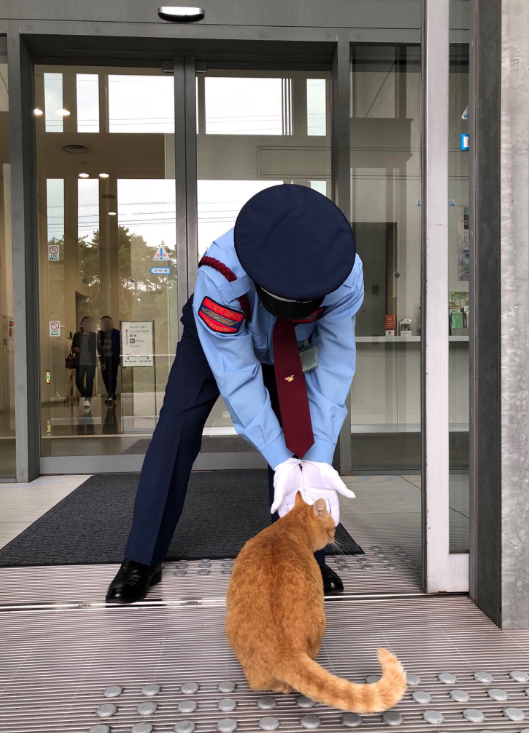 And while the security guard does take his job seriously, keeping the kitties from infiltrating the museum, he also seems to have a soft spot. But more on that in a moment. Interestingly enough, while the museum continues to restrict the duo from entering, the organization is not above capitalizing on the cats story. 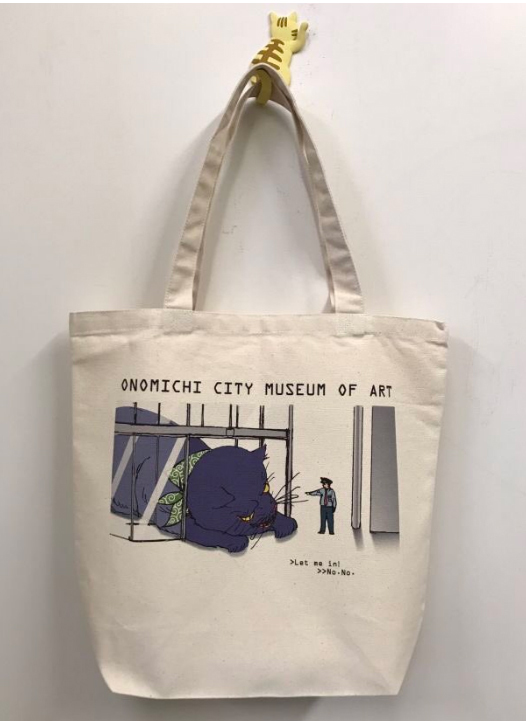 For sale at the museum gift shop are a tote bags featuring the cats as they attempt to sneak inside. The bags have proven to be top sellers, although it somehow seems a bit unfair that the cats are doing their part to help fund the operation. Even with their new found Internet fandom, there is little in the way of reciprocation. Ken Chan looks to be plotting how best to slip by his nemesis. On the museum’s Twitter feed are several video clips that has amassed upward of 15,000 likes and 6,000 retweets since posting of the cats various attempts. 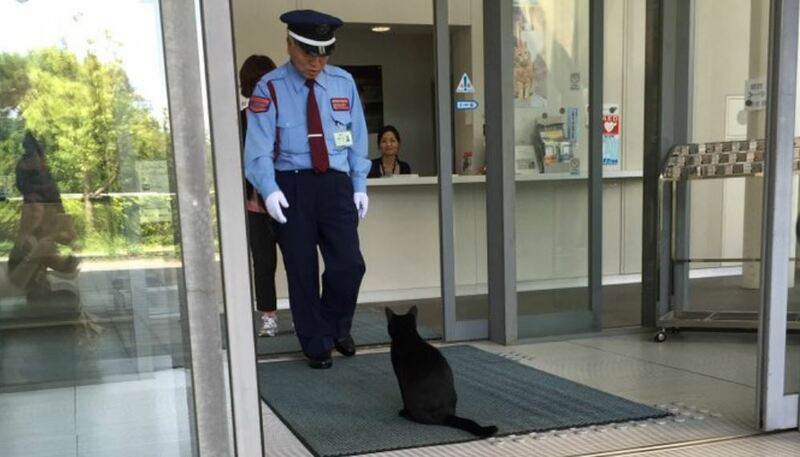 Stickler as he is for the rules, it is easy to see the security guard has a fondness for the felines. Not ones to give up easily, after Ken Chan’s failed attempts, his ginger-furred partner-in-crime does his best to charm his way into the elusive interior. 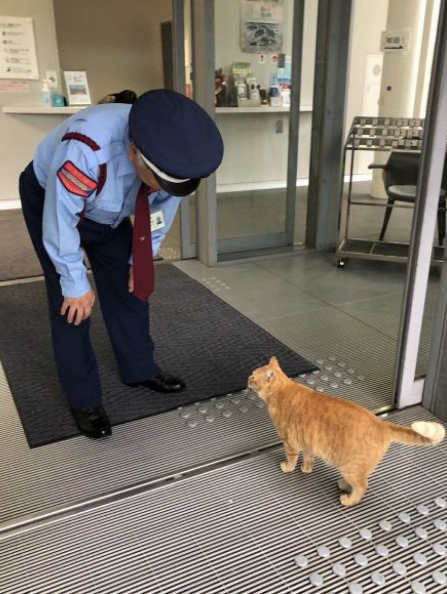 Charming as he may be, Gosaku doesn’t impress the security guard any more than did his colleague. Foiled again, if not even more unceremoniously dispatched than his black friend. He does manage, however, to get a little love on the way out. Will they ever realize their dream? Perhaps they should give these kids a new home instead of shooting them away. They are very beautiful. 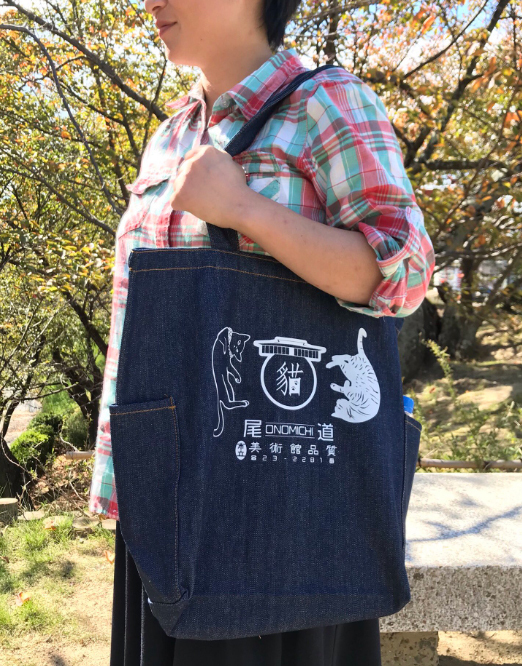 Oh man, I want one of those bags with the cats on it. What a clever merchandising idea.